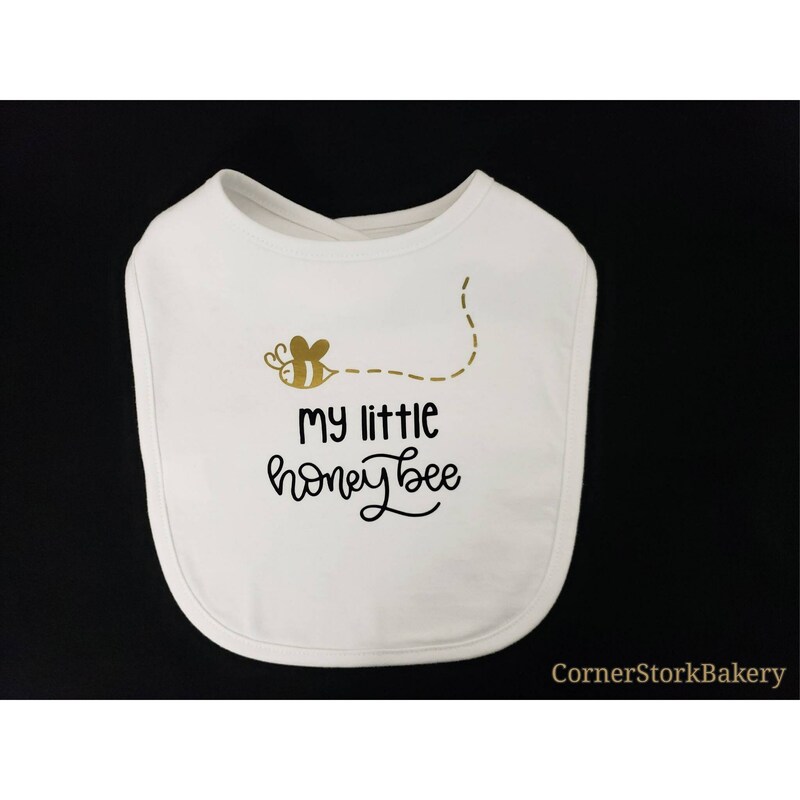 My Little Honey Bee custom made bib makes a nice little baby gift. Packaged nicely in a cellophane bag with matching ribbon and a handmade gift tag. This can be custom made per request. Send me a message and we can get your gift started.